FAW CA1041 Service Manual and Shematics. There are cars that are best suited for entrepreneurs and small commercial companies. They are able to perform complex tasks for the transport of goods within densely populated cities, maneuvering along city streets. 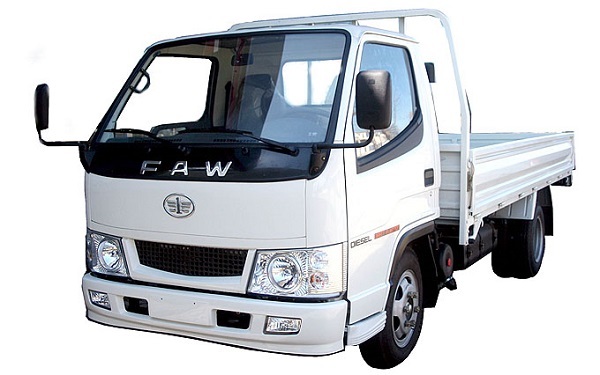 This category of small trucks is FAW 1041, offering the potential buyer excellent performance. The two-door rear-wheel drive truck is really compact with a length of 5253 mm. The width of the car is 1809 mm, and the height of the Chinese machinery is 2151 mm. The truck, designed for 2 passengers, is produced with comfortable clearance rates of 180 mm. This is quite enough for movement around the city and the highway with cargo. The equipped weight of the truck-van is 2180 kg. From the factory conveyor the machine comes out "shod" in rubber 185/75 R16 size. The small car of the Chinese company FAW is equipped with a 3.2 liter power unit with a capacity of 103 liters. from. Diesel engine feature: Chinese engineers installed BOSCH fuel equipment, which contributes to the excellent and uninterrupted operation of the diesel power unit. The diesel engine FAW 1041 aggregates with 5MKPP. This tandem with ease overcomes long stretches and steep descents. At the same time, the truck motor does not overheat. The diesel engine CA4D32-09 for emissions of harmful gases into the atmosphere belongs to Euro-2. The driver's cab rises, freeing up space to eliminate breakdowns. It is necessary to say that the repair of the FAW 1041 is not difficult. Most of the units and assemblies are available, which significantly reduces the time required for repair. In addition, there are no problems with the spare parts of the machine. Disassembly FAW 1041 passes easily and quickly, which allows you to put the car into operation in a short time. The owners are delighted with the maneuverability of the van. Its main advantage is that the truck can pass in places where restrictions are imposed on other heavy transport. Users note the ease of operation and unpretentiousness of cars in repair. Owners say that buying the engine FAW 1041 price, for him, however, as for other parts is stable.